Examine the differences between independent contractors and employees. Unless you work for the IRS or have a degree in accounting, taxes may be a bit of a mystery to you, and taxes are even more confusing when you work as an independent contractor. Here are some answers to common tax questions confronting independent contractors. 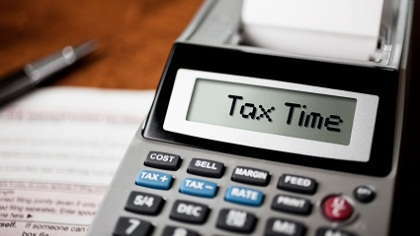 This information will help demystify the tax system, and give you a leg up by the time April comes around. 1. What's the Difference Between an Independent Contractor and an Employee? As an employee, you work for a particular organization and that company has the authority to dictate what you do and the way in which you do it. As an independent contractor, the person contracting your services pays for the results of your labor only. The contracting party does not manage or direct the manner in which the work gets done. 2. How Much Money Do I Have to Make in Order to Be Taxed? If you make under $600 a year for any particular company, they are not required to report it to the IRS. However, once your earnings exceed $600, companies are obligated to send a 1099 form to both the contractor and the IRS. 3. Are There Any Other Taxes - Besides Income and Social Security Tax - That I Have to Worry About as an Independent Contractor? Yes. You should contact your local government to find out what local and state taxes you may be responsible for. If your net earnings exceed $400, you will most likely be required to pay a self employment tax. You can calculate this tax using the Schedule SE of the 1040 form. 4. I Heard I Need to File My Taxes Quarterly. Is That True? Most independent contractors are required to file their taxes on a quarterly basis. However, there are a few exceptions to this rule. If your total tax liability is less than $1000, or if you have pre-paid 90% of your tax liability, you aren't required to file quarterly. If you are employed by a company or corporation in addition to your contract work, you can have your other employer withhold enough to cover 90% of your tax liability. You can also have your spouse make the appropriate adjustments to cover your tax liability, and avoid the hassle of filing quarterly taxes. 5. How Do I File My 1099 Contractor Income? You can file by using a 1040 form, Schedule C. As an independent contract, you are considered a sole proprietor of your own business. The Schedule C allows you to record your income and your expenses. You can use the 1040, Schedule C-EZ if your expenses did not exceed $2500 and you meet other specific requirements. 6. What Kind of Deductions Can I Claim? As a sole proprietor, you can deduct anything that is used for your business. You can deduct office supplies and travel expenses. You can even deduct a portion of your rent or mortgage if you work from a home office. Basically, you can deduct any expenses necessary to generate income from your home based business.